Don’t leave your style at home when you can wear it on your feet - even at work. While they’re no cute wedge pumps or your favorite comfy running-around-town flats, these Reebok Women’s DMX Flex RB 360 Purple Alloy Toe ESD Athletic Work Shoes still bring a li ... (see full details) (see specifications) #RB360. Don’t leave your style at home when you can wear it on your feet - even at work. While they’re no cute wedge pumps or your favorite comfy running-around-town flats, these Reebok Women’s DMX Flex RB 360 Purple Alloy Toe ESD Athletic Work Shoes still bring a little style to your workplace. Oh, and they’re comfortable, too. after all...they’re Reebok, so it goes without saying they’re definitely comfortable. Designed like athletic shoes with the main goal of keeping things as light and supportive as possible while still maintaining safety standards, these ladies’ safety toe work shoes will have you forgetting they’re made for industrial environments and leave you thinking you’re wearing your favorite tennis shoes instead. You can work confidently knowing you’re protected from injury by your lightweight ASTM F2413 approved alloy toe safety toe caps, as well as dual resistor technology for ESD protection. Underfoot, you'll have nothing but support and comfort for your work day, starting with the intensely cushioned MemoryTech Massage insoles. These removable insoles customize your fit, molding to your individual foot with each step you take and refreshing the cushion with each movement. All the while the foam promotes air flow under your feet for a cooling effect from the bottom up. Beneath these memory foam insoles in the ESD shoes are injected EVA midsoles for shock absorption with embedded DMX Moving Air Technology. The DMX Flex Work is revolutionizing cushioning and flexibility in work shoes and athletic shoes alike, reducing weight and increasing comfort across the board. Moving air technology transfers air from the heel to the forefoot and back to match your movement for a “cloud-like” walking and standing experience that adapts to your stride. The DMX Flex rubber outsoles continue the flexibility of these women’s safety toe work shoes with slip-resistant tread made to give you grip in a wide variety of situations. That’s not where the safety ends, however. You can work confidently knowing you’re protected from injury by your lightweight ASTM F2413 approved alloy toe safety toe caps. Lighter in weight yet protective like steel, these steel toe alternatives reduce weight and bulk of the shoe without sacrificing safety. Dual resistor technology and no exposed metal on the uppers of these women's purple shoes also earn them the ESD (Electro-Static Dissipating) title for added safety and compliance in certain work environments. So bring your style and your comfort to work when you wear these Reebok Women’s DMX Flex RB 360 Purple Alloy Toe ESD Athletic Work Shoes from Working Person's Store. They're cute and tough, just like you, so enjoy your day with a pop of color on your feet. 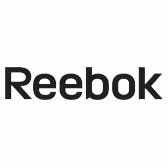 Reebok Shoes: Women's RB360 Purple Alloy Toe ESD DMX Flex Athletic Work Shoes is being added to your cart.